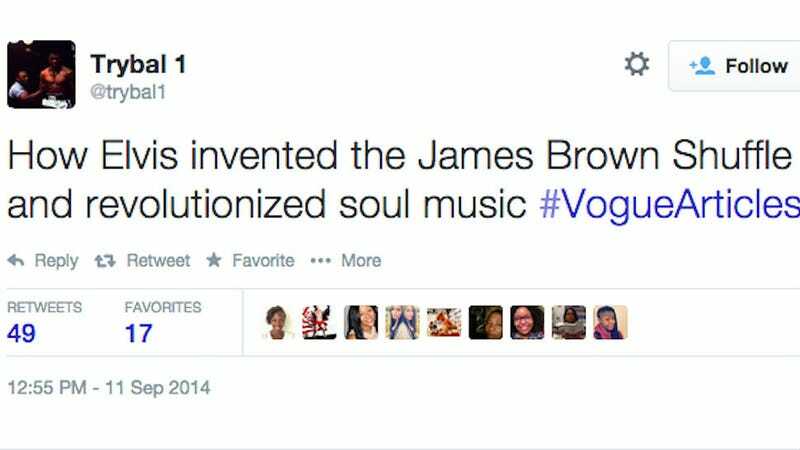 Hell hath no fury like Black Twitter scorned, but this time Vogue was really asking for it. In response to the fashion bible's daft article this week about butts becoming en vogue thanks to white people's interest in them, the sarcastic hashtag #voguearticles exploded. If André Leon Talley isn't there to teach the babies, those fashionistas have to learn somehow. My Jezebel colleague Kara has already explained why big booty appreciation cannot be attributed to just Jennifer Lopez, or worse Miley Cyrus, but the snide #voguearticles took her argument a step further by pitching tone deaf Vogue articles that no one in their right mind would ever want to read.